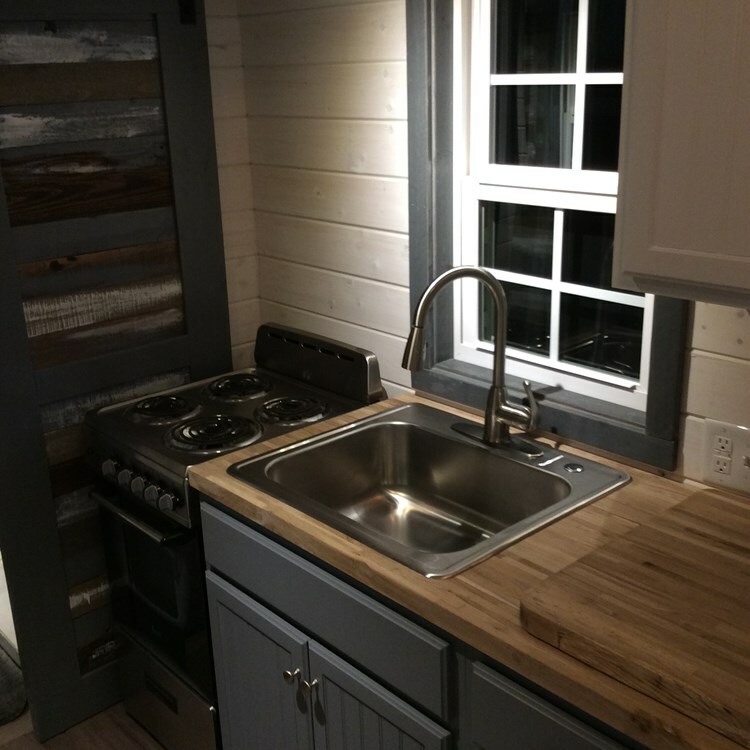 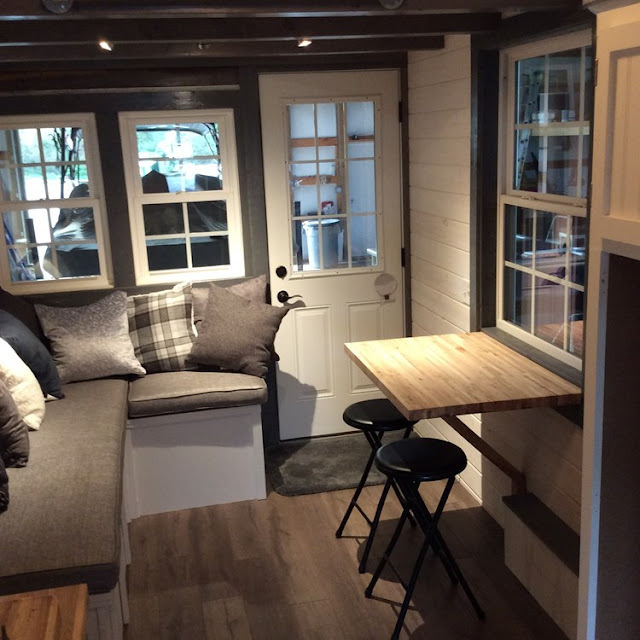 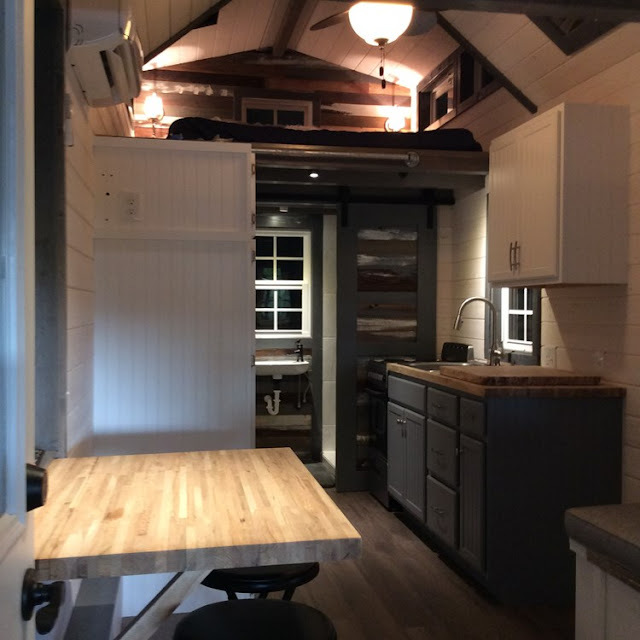 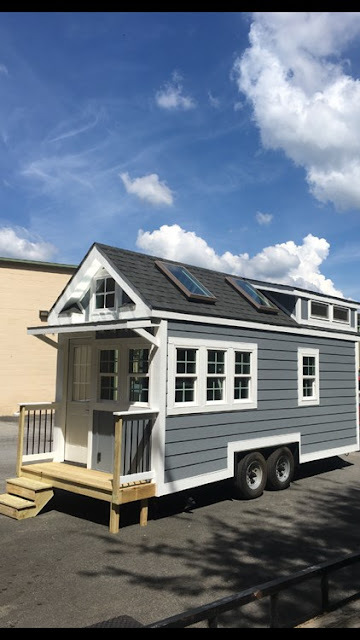 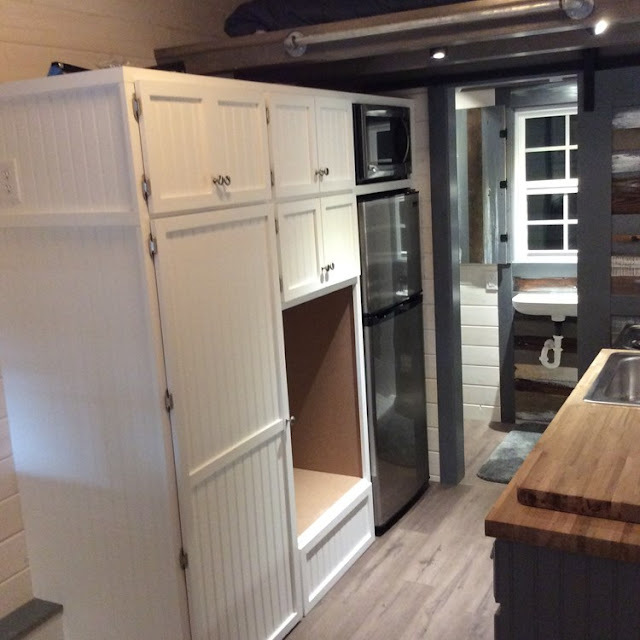 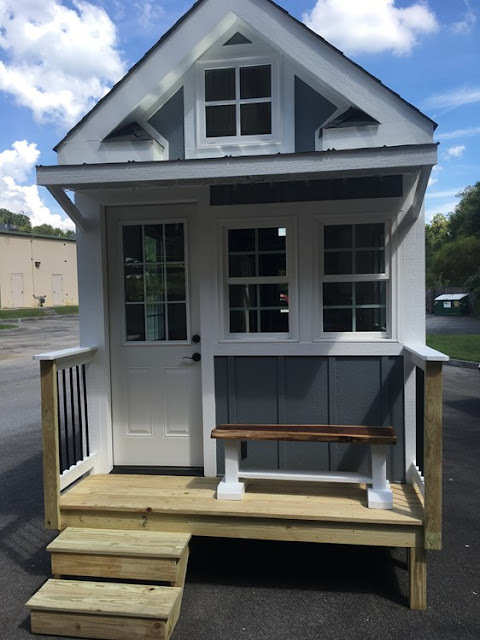 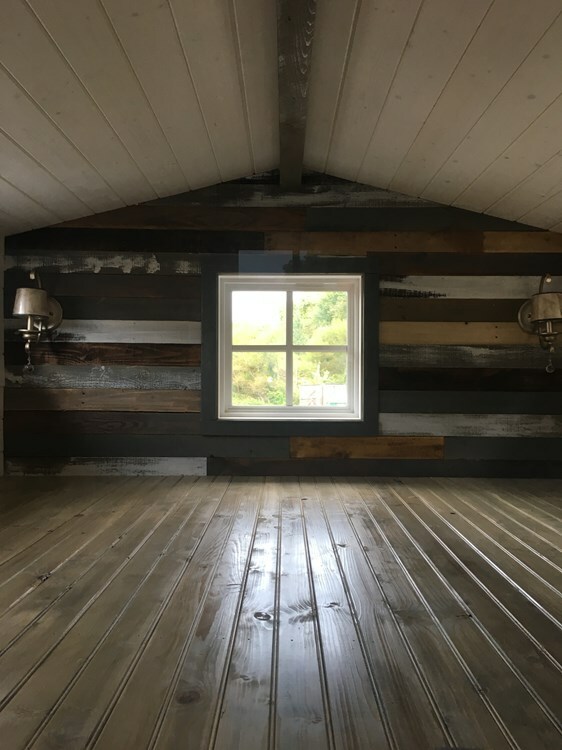 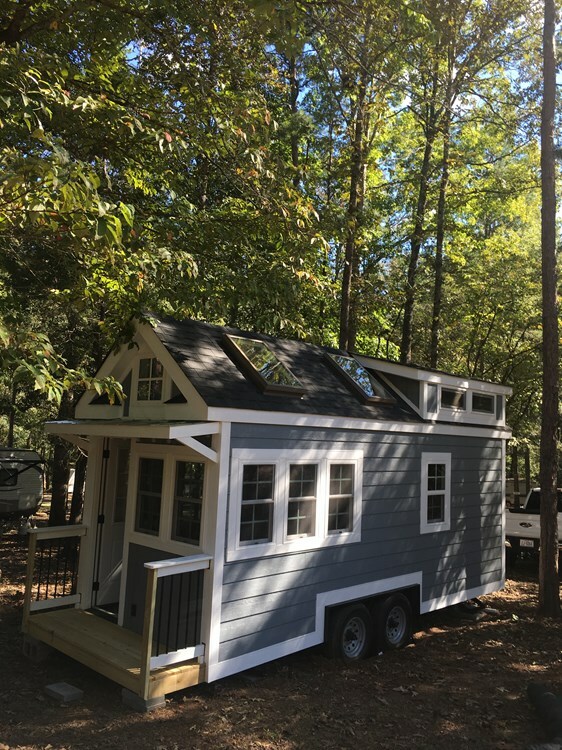 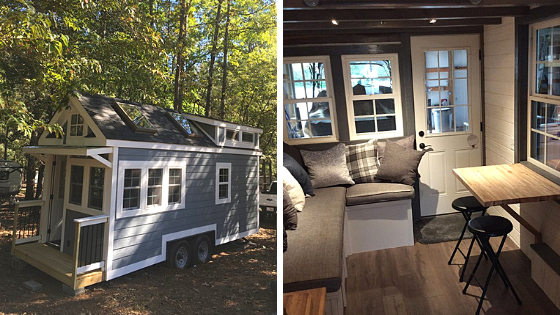 This 20’ tiny house is almost finished and will soon be available for a new owner! 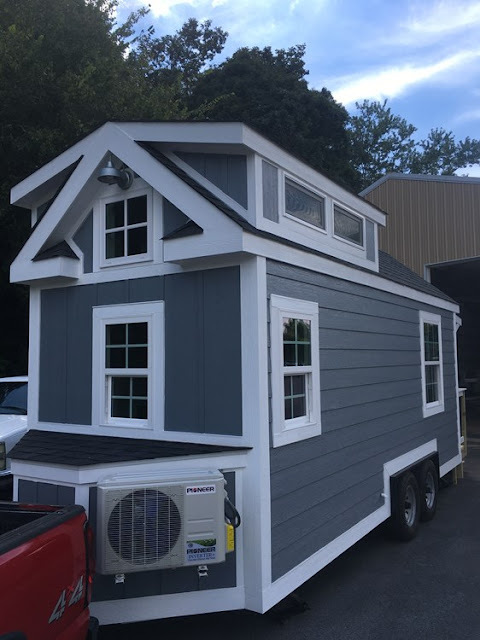 The home has been built nto a dual axle 7,000lbs trailer and complies to local building codes. 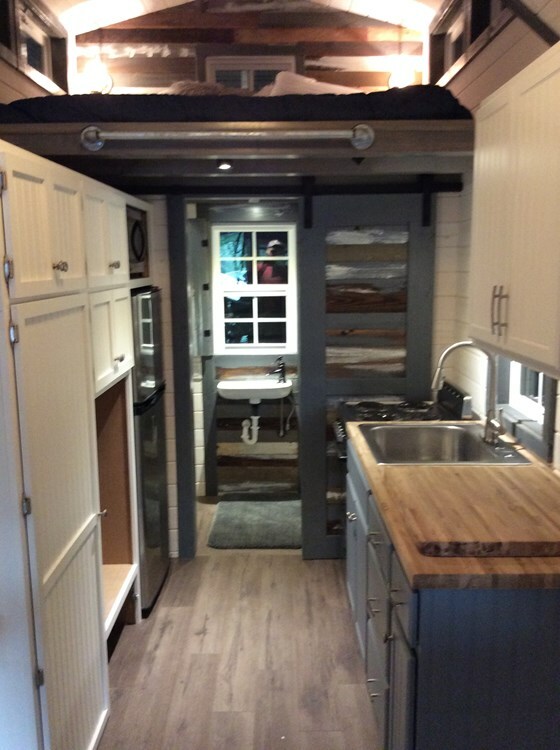 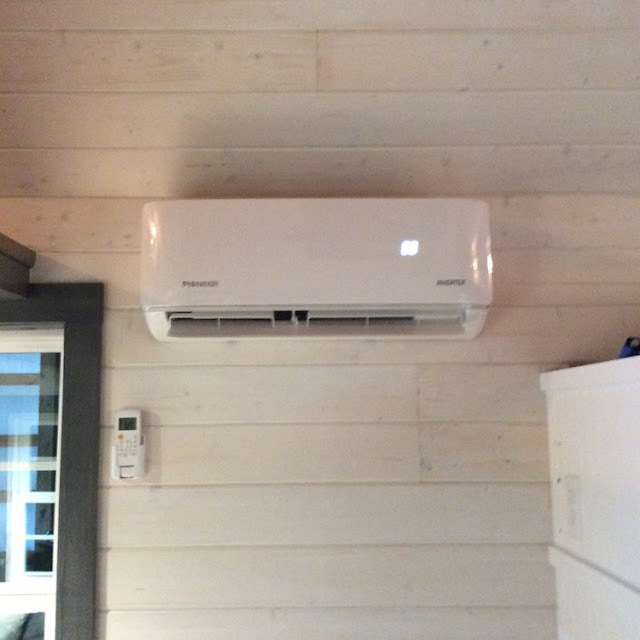 It’s fully insulated and features a cute cottage look with several rustic touches inside. 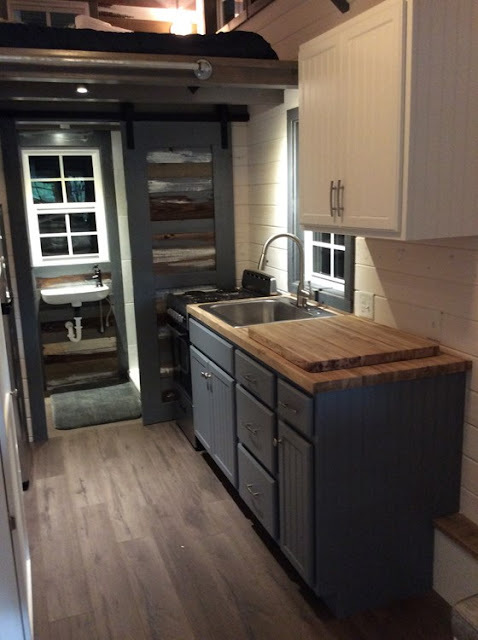 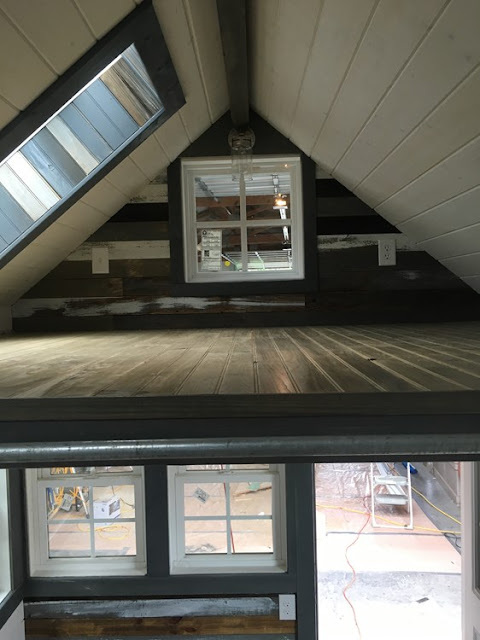 The boastsior of the home boats two skylights, Silver Oak laminate flooring throughout, and features an accent wall of mixed wood. The fully equipped kitchen comes stocked with a stainless steel refrigerator and range over, a deep stainless steel sink with a gooseneck faucet, butcherblock countertops, and hookups for a washer/dryer. 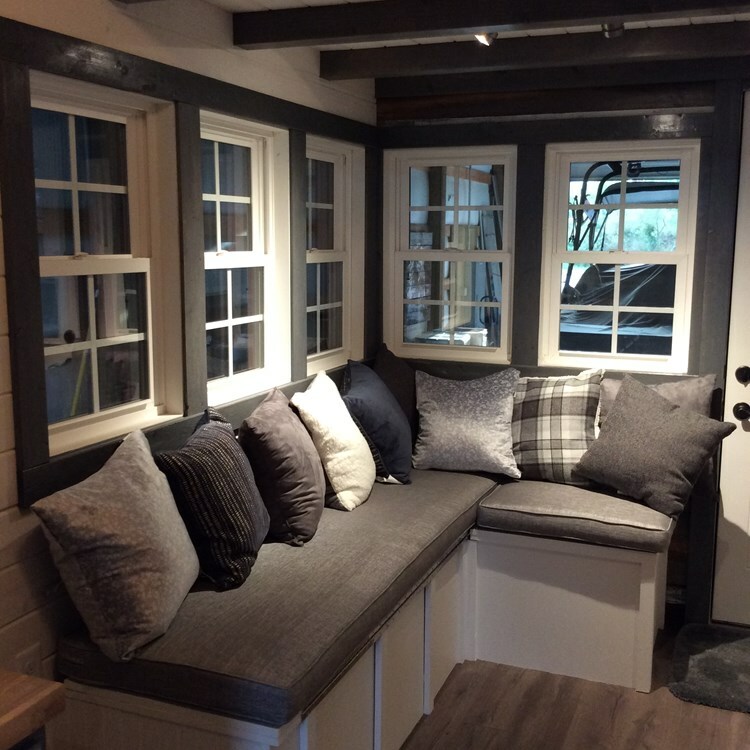 For a cozy place to relax, the living room has a custom sleeper sofa with built-in storage. 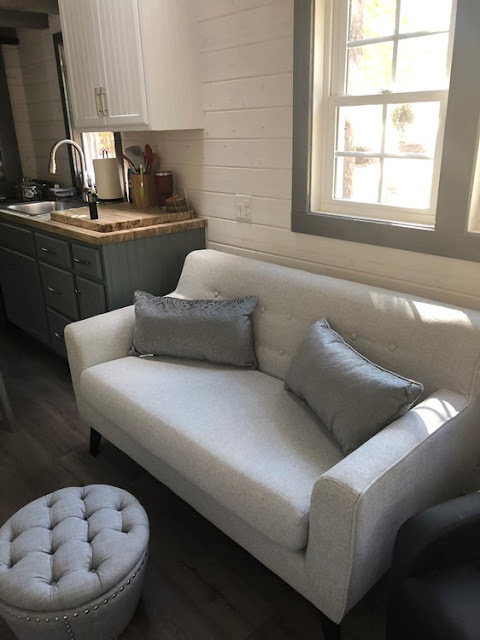 A 28” flat screen TV is also provided to keep you entertained. 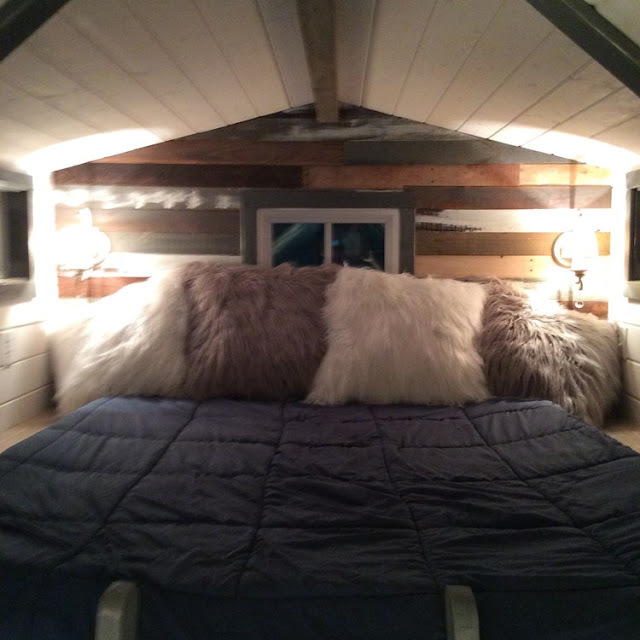 Two lofts are available; one with room for a king-sized bed! 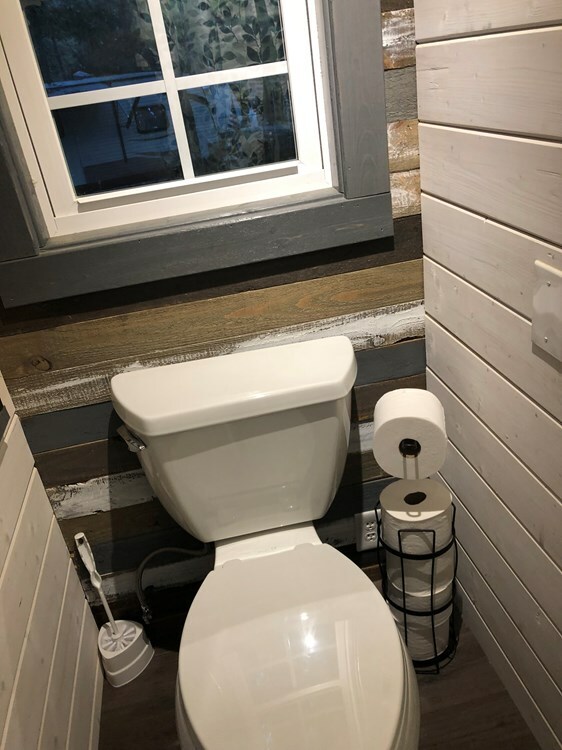 Lastly, the home’s bathroom has been plumbed for either a composting or conventional toilet. 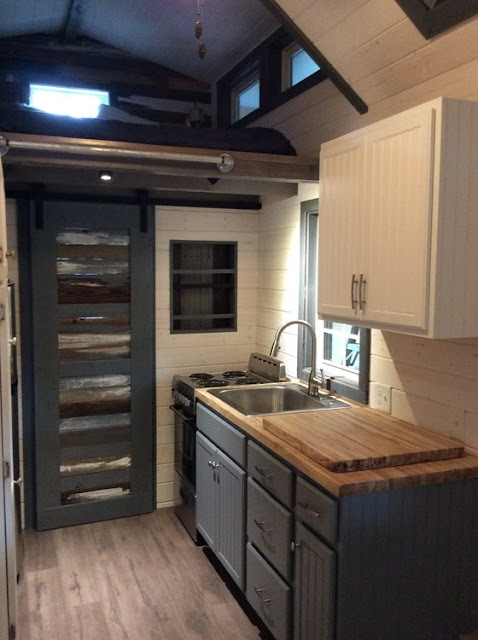 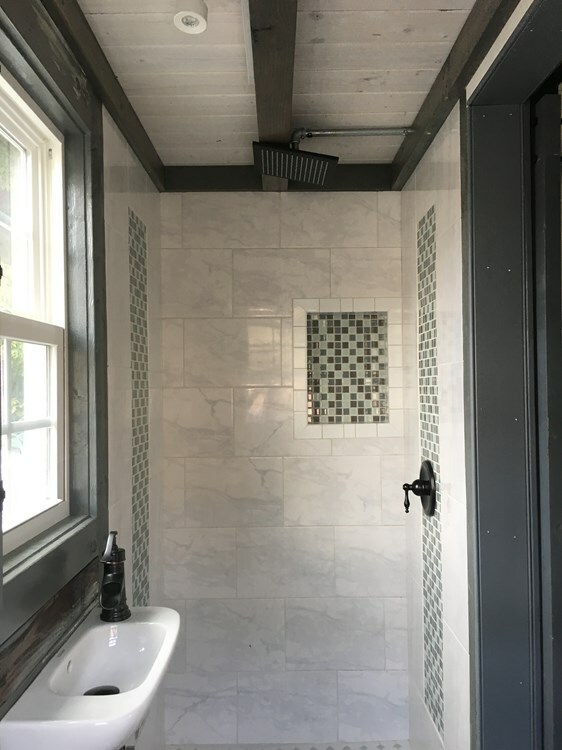 There’s also a 36” shower with a rain shower head, and a half-moon sink with a hydrant-style faucet! 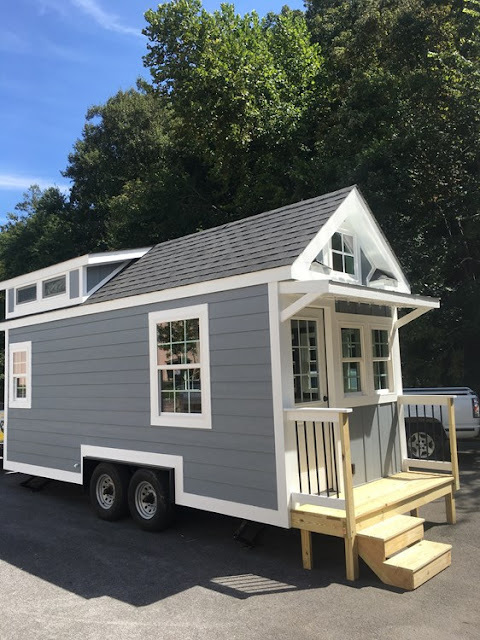 The home is currently listed here for $50,000!